TAMPA — The Jefferson HS football team had a storybook season in 2010, capturing the Class 3A state championship while setting a state record for most points in a regular season with 530 and in a full season with 746. The Dragons will look to replace quarterback Quentin Williams, the 2010 Florida Mr. Football award recipient, who ended his career as the state's career leader in passing yardage (10,384) and touchdowns (109). His 4,451 yards and 56 touchdowns last season were also state records. Gator Country stopped by to watch Jefferson HS practice on August 15. 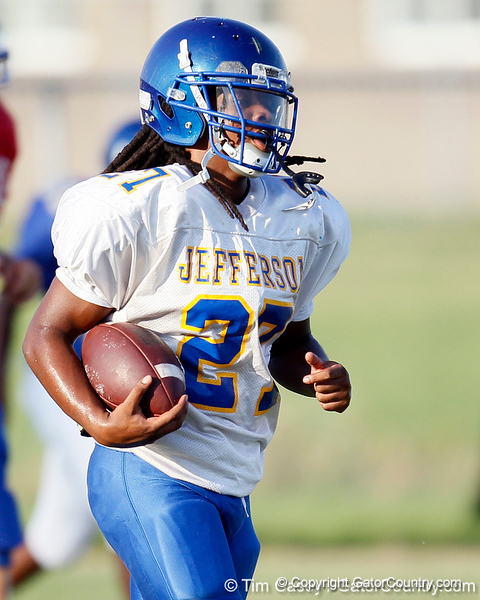 First-year Jefferson head coach Jeremy Earle will look to senior defensive end Tyriq McCord to lead the defense. McCord has listed the University of Florida and the University of South Carolina as the two college teams he is most interested in. Senior receiver Adrian Jenkins aims to be the primary target in the passing game.